For the past millennia, Rome has been the city mused of in writing, dreamt up in paintings, and made alive on our screens. Today, Bulgari reinforces the notion that the Eternal City is both alluring and bewitching with the launch of its latest fragrance, Goldea the Roman Night. The third in the Goldea collection of fragrances, the Roman Night is an ode to the Bulgari woman who exudes femininity and confidence under the beguiling charm of the midnight Roman moon. “Charismatic, fascinating and seductive, she unleashes her irresistible aura through a golden elixir of white flowers, as they exude their powerful scent at nightfall,” said Bulgari’s Master Perfumer Alberto Morillas, the maestro who composed the fragrance. And who better to front the global campaign than model-of-the-moment Bella Hadid? The 20-year-old is the embodiment of who the perfume was created for, with her head-turning, jaw-dropping, larger-than-life presence, having been crowned Queen of the Roman Night by the Italian perfumer-jeweller. Wearing a Bulgari Serpenti bangle bracelet in white gold on her wrist, model Bella Hadid is a dream in the campaign for Goldea The Roman Night. A big fan of the fragrance that we’re all too familiar with is digital influencer Yoyo Cao, better known by her online moniker Yoyokulala. The Singapore-based social personality cemented herself as a global style icon in a short three years, having been featured multiple times on the pages of Vogue and Harper’s Bazaar; scoring a seat on Net-A-Porter’s The NET SET Style Council; and starting her own label Exhibit, where she does both design and photography for the collections. In the video that Cao conceptualised and directed, she ‘transforms’ into a bold and free-spirited figure that lets her hair down and have a ball, all with a spritz of Goldea, the Roman Night. In essence, she is to Singapore what Hadid is to Rome, the ‘Queen of the Singaporean Night’. 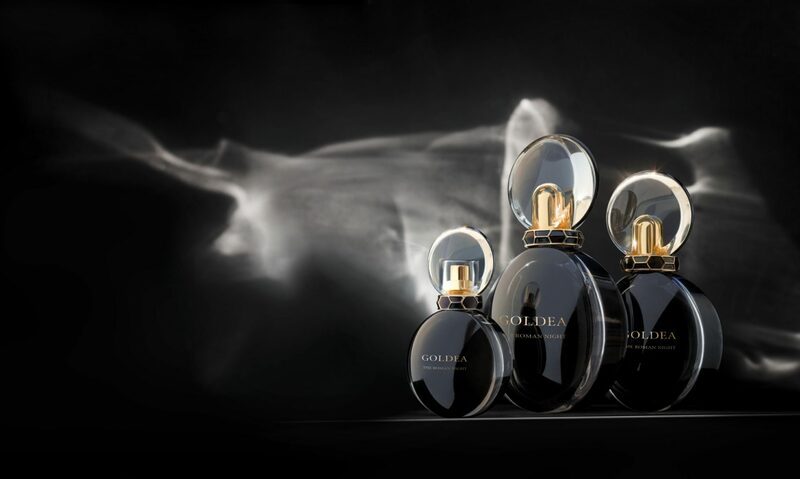 Goldea, the Roman Night was concocted by Morillas to tickle the olfactory senses of women with a reinvented chypre floral musk. “When I first imagined a Roman night, the idea of the chypre-infused signature came to me instantly,” said Morillas. With top notes comprised of mulberry and black peony, it leads into an infusion of jasmine and tuberose, before finishing off with a sensual musk of patchouli and vetiver. And keeping in line with its latest Serpenti jewellery collection, the bottle for Goldea, the Roman Night has a motif of serpentine scales wrapping around the neck, with the enchanting elixir contained within a onyx black vessel.